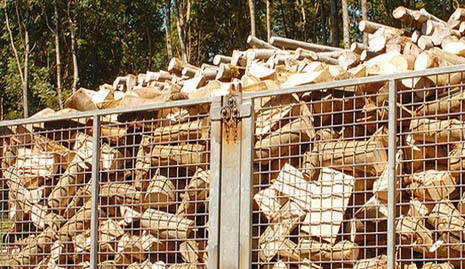 At the Amersham Saw Mill in Bucks we only sell good quality logs that are naturally seasoned. All of our logs are from certifiable sustainable forests or old timbers from barns or house repairs or demolition. 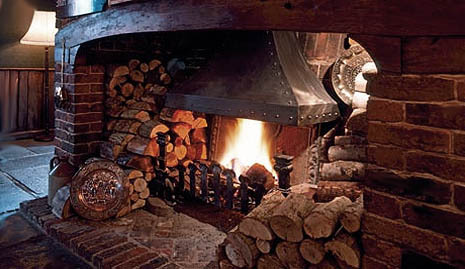 We supply a range of local pubs who have roaring open fires during the winter months. Amersham Saw Mill is based in Buckhinghamshire, just outside the main town, but we will deliver anywhere provided you hit our minimum spend total. Or you can pay our small delivery charge if you are outside of our free delivery area, but these prices are quoted on an individual basis and we recommend that you email us as we may need to do some homework before we provide an accurate quote. We are also open to price-matching other companies, although we are the cheapest retailer of logs in the area as far as we know. Our large (1 cubic meter) bag is our most popular log bag sold. We typically fill our branded builders bags generously with both Hardwood Logs and Softwood Logs. Hardwood logs include; Ash, Oak, Sycamore, Chestnut, Cherry, Beech and Silver Birch, whilst our Softwood firework is primarily pine, larch and spruce.